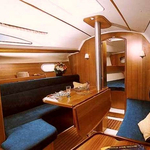 In 2002 has been built boat Sun Odyssey 32 called Iris. 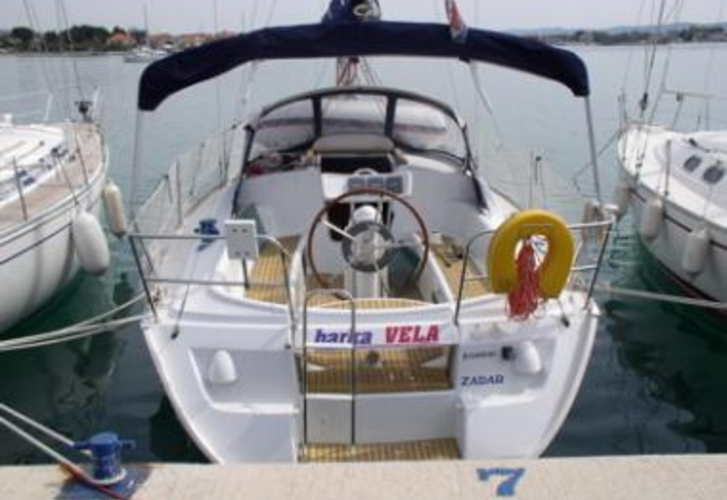 She is available from harbor Athens in surrounding area of Athens in Greece. 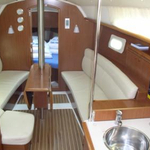 You can take in up to 6 passengers on the sailing boat Iris. Configuration of berths is 6 (4+2). 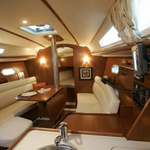 There are 2 bedrooms located below yacht's deck. Iris has 1 toilettes. 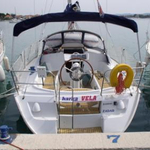 Use our website to find more vessels by going here: Yacht charter Athens. Diesel tank is 70.00 l liters capacious , water tank has up to 170.00 l liters. 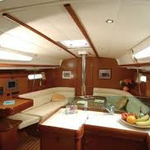 In this yacht there is motor 22 hp. 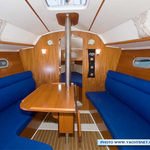 With 9.60 m of lenght overall and 3.30 meters of width Iris provides enough space for comfortable sailing. 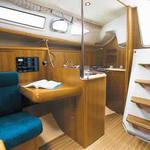 Sun Odyssey 32 Iris is equipped with: Autopilot, Gps, Bimini top, Dinghy, Outboard engine, Mainsail with lazy jack, Bed linen, Mainsail with lazy jack, Radio / cd player. . Security caution is 0.00 EUR. 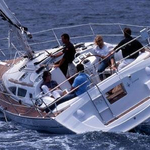 Browse for our offer by moving to this section: Yacht charter Athens.